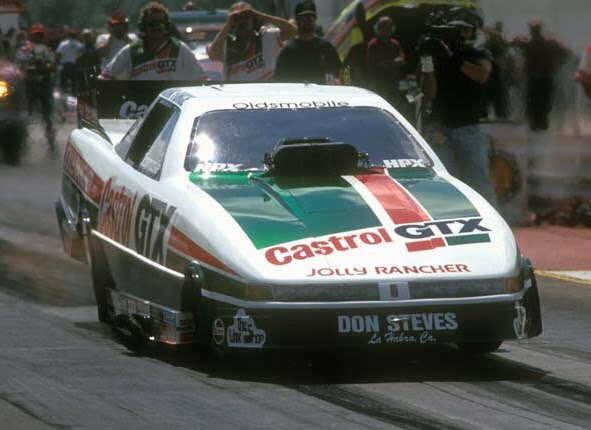 SFDstudio: Facts about SFDstudio: John Force's Oldsmobile Funny Car looks phenomenal. 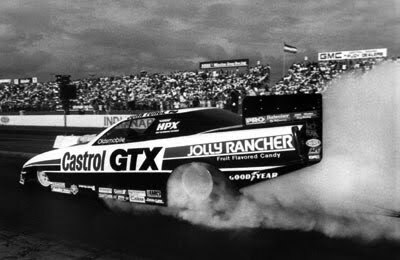 Facts about SFDstudio: John Force's Oldsmobile Funny Car looks phenomenal. In our continuing series on facts about SFDstudio, we go back to 1993, before car wraps were prominent. John Meehan aka “Sticky” was still one year away from starting Sticky Fingers Design and was then employed by Jerry Seivers of PaintN' Place in Placentia, CA. At Paint N' Place Sticky was tasked with hand cutting all the paint masks for many NHRA greats. Pictured here is John Force’s Oldsmobile Funny Car. After the car was based in pearl white, the car was painted using laid out graphics and hand cut lettering stencils. 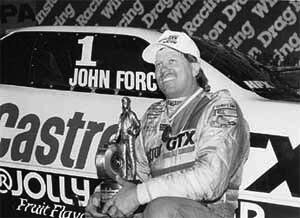 That year, John Force would go on to win his third championship in an amazing 18 championship win streak in 23 years, a great guy and a true champion.